For one of my university classes, I decided to write a companion novella for my main novel ‘The Witches of Belle River’. It is a novella titled ‘Shadow Man’! This companion novel is set in the same universe as ‘The Witches of Belle River’, and deals with a similar situation but in a very different way. The story follows Hugh Kavinsky, a psychic living in New York City and really focuses on Hugh returning to normal life after being possessed for six years by a spirit. So far, Shadow Man has been really fun to write and I love the themes of guilt and healing that are being explored in it. There is a fun and quirky cast of characters in this book. Obviously, there is Hugh, a soft and kind young man with a great deal of power who struggles daily with guilt and fear. Molly is Hugh’s younger sister. She loves early 2000s boy bands and mothering her brother. Shay is a barista at a coffee shop in New York who serves Hugh a very fateful cup of coffee which entwines their lives together. 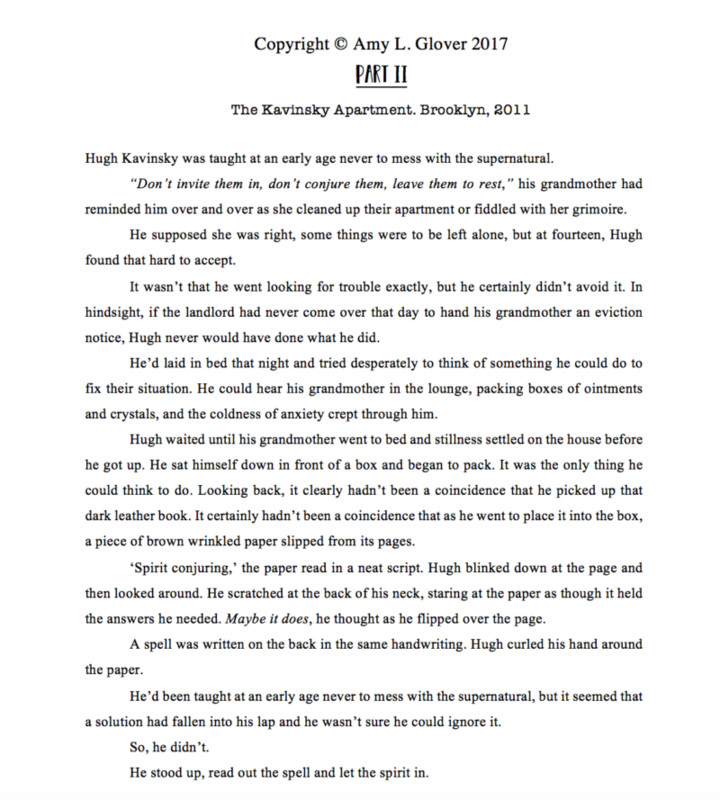 I’m also really enjoying writing the New York City setting! I’m going to America for my Christmas holidays and I am beyond excited to be in NYC and actually experience the place I am writing about. Hopefully it will help inspire me and give me more accurate details to write about. The book is made up of prose, as well as poetry that is written from Hugh’s POV. A lot of the poetry gives insight into Hugh’s state of mind. They will help make what happened during the time he lost clearer to the reader. The prose flashes back a few times to before his possession. I did this to try and create a solid understanding of Hugh as a person and how he has changed. I won’t use the spirits POV because I want that time to be lost for the reader as well. Here is an excerpt from ‘Shadow Man’. 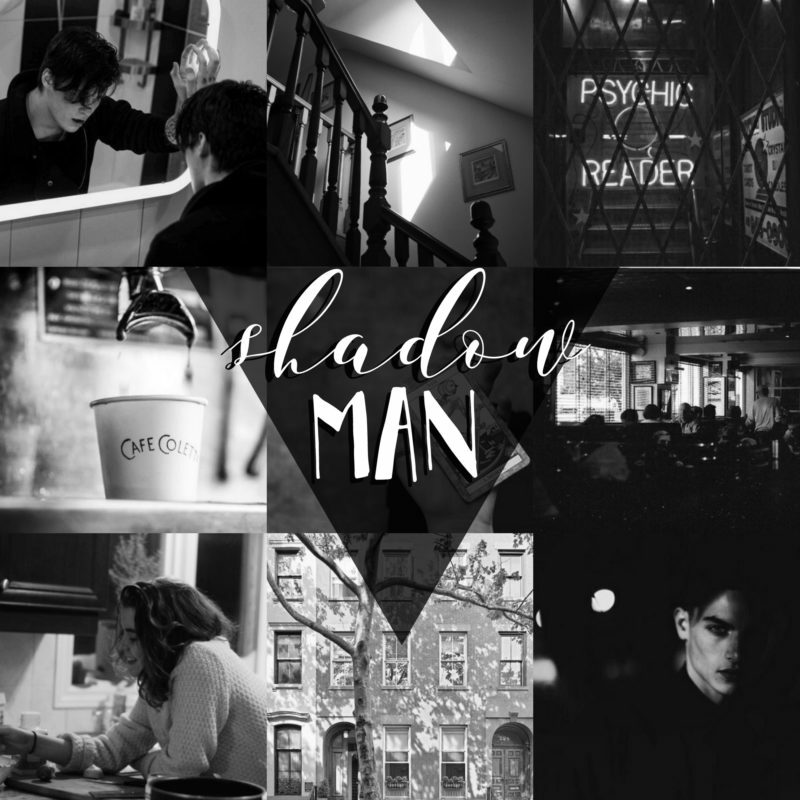 This is the first full chapter of Shadow Man. Titled Part II. Keep an eye out for more posts about this novella and about writing in general! I’m hoping to put up some more excerpts from pieces I have written. If you can’t wait for that, head over to my Wattpad. My username is AmyWritesXO. Click HERE for a link for those who are interested! Previous Article Writer’s Little Helper: Realtime Board.